If I didn’t have my head attached, I’d probably leave it somewhere. That has been the story of my life for about a year now, and things don’t seem to be slowing down! So, I’m not surprised that I got my weeks turned around, and made the Sweet Cream Biscuits instead of the Chockablock Cookies. My apologies to the host kitchens of the week. Thanks to Melissa of Love at First Bite for hosting this recipe. 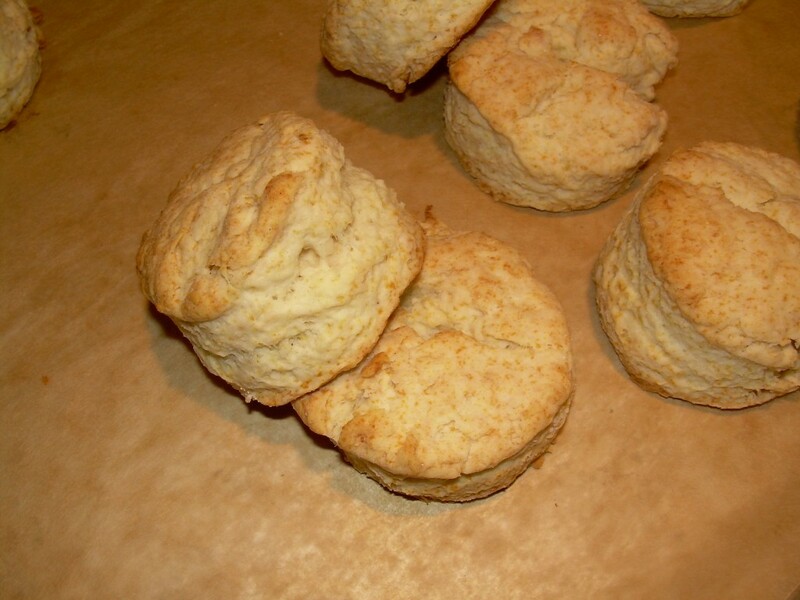 These are by far the easiest biscuits I’ve ever made. The came together in about 5 minutes, and then I used 1.5-inch biscuit cutters to make small biscuits, which to my surprise my husband loved! You really have to give these a try; the only thing I’ll do next time is decrease the sugar by half to provide a less sweet biscuit. At any rate, be sure to check out the Tuesdays with Dorie blogroll to see what everyone else has been up to! Beautiful biscuits! I love how tall they are. Those are some fantastic looking “mistake”!